Writing poems, making books, changing diapers, and living thankful. On January 7, 2011, I did something incredibly dumb: I re-joined a fantasy football keeper league that I'd quit just a year earlier. The team I left behind went on to win the league's Super Bowl. The team I agreed to take over ended up in the league's super toilet bowl--it had the worst record. In fact, I (and many of the other owners) went as far as to claim it was the worst fantasy football team ever. My first order of business once I joined the league was to change the team name to the Duluth Zombies, because we would need to rise from the dead to conquer the world. 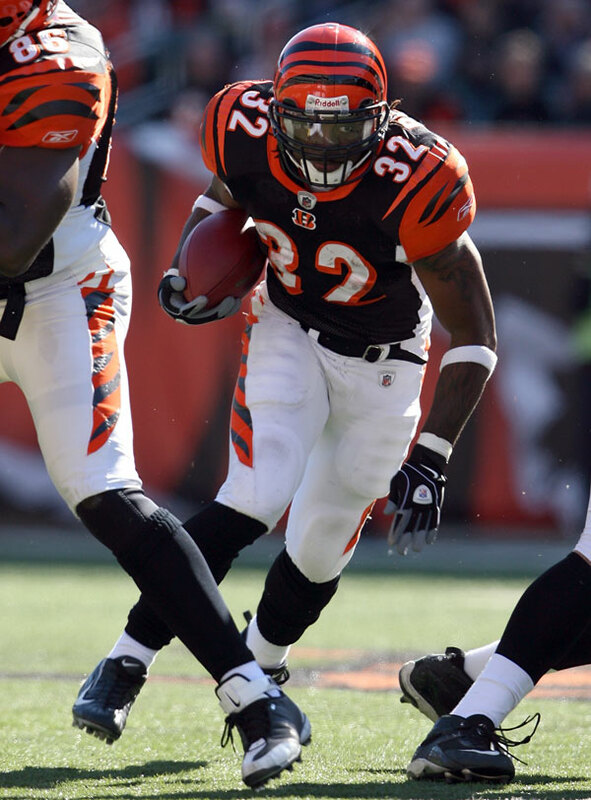 Cedric Benson is already planning to serve 20 days in jail during the month of October. Yay! While this team looked horrible, there's always a bright side to any situation. In this case, I knew that I had the worst team, so I knew I had--if nothing else--the first pick in the draft. My team was also significantly under the league's salary cap, which is determined by how well individual players perform and which also meant I had the ability to wheel and deal with teams that were well over the cap. Within a week of joining the league--even with the NFL holdout looming over everything--I had made two trades. 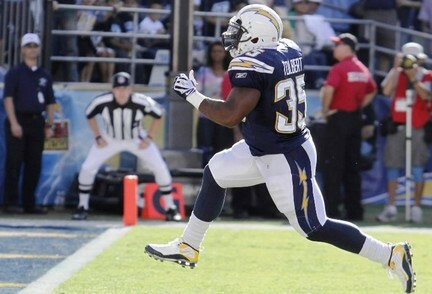 Could Mike Tolbert be a move in the right direction? In the middle of April, probably jumpstarted by the NFL draft, I completed two more trades. Then, just last week, I made my final pre-draft trade. Trades are an important way to build a team. Another important way is through the draft. 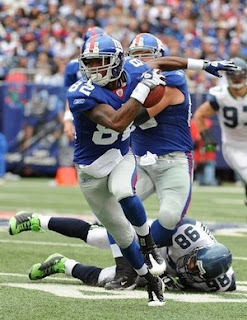 Mario Manningham was part of the Larry Fitzgerald trade; so were two RBs that are already on IR. This team is truly looking ahead to 2012. Anyway, nearly eight months after taking over the worst team, I feel that I've at least got a competitive team for this year that has a strong core for next year and beyond. And that's without the third way to build a team (through using the waiver wire during the season). My first goal is to make my team at the very least competitive. So mission accomplished there. Next week, I'll share my super sleepers headed into the regular season. 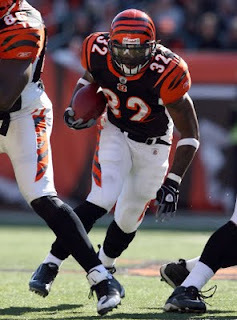 2011 Fantasy Football Rankings. This site includes updates on movers and shakers, player ratings and more. ESPN's Top 300 player rankings. ESPN usually has pretty sound rankings. 2012 NFL Mock Draft. WalterFootball.com is one of my favorite mock draft sites, and it's never too early to keep an eye on next year's draft. Asking questions can be very beneficial for a writer. To an editor, questions show that a freelancer is really engaged with the project. Of course, there are some questions that are good pre-acceptance and others that should not be asked until acceptance. What is the length of the pieces? What can I expect as payment? Which rights do I get to keep? How long will my bio note be? Will you use my material online? Sometimes, there is a short pitch after the barrage of questions. More often, the freelancers suggest they'll send over an idea or two after I give them these answers. As I've posted previously, I like pitches that jump straight into the proposed article idea and that give me a good idea of what the proposed article will cover. However, let's look at why the questions above are not typically appropriate. What is the length of the piece? For me, I don't give the answer to this pre-acceptance for two reasons. First, I need to review other pitches first to determine if I just want a sidebar from the freelancer or a full blown article. Second, most freelancers have the ability to go to a bookstore or library and skim through a previous edition of Writer's Market or Poet's Market to get an idea of how long the articles are. This is research 101 for freelancers. Never ask an editor about this before acceptance. There's probably a 99.9% chance that I'll never ever assign an article to a freelancer who asks me this pre-acceptance, because I don't want a freelancer who is distracted by the money and/or money-to-work ratio that they're putting into an article. The time to talk money is after I fall in love with your great article idea. Listen: Rights are very important for freelancers, but as with the discussion of money, it's best to wait until you get the assignment to negotiate how those rights will be distributed. If I have a writer with an almost paranoia about rights before I've even accepted their pitch, then I start to develop a paranoia that the writer will be difficult to work with. Talk about "all about me and more about me!" Seriously, this isn't even the most important question to ask, but you can probably discover the answer by doing a little of that Research 101 mentioned above. In today's shifting media environment, the answer to this question will probably be "yes," or at least, it should be. However, this is a question that is better left up in the air until your pitch is accepted. Once the editor contacts you with the assignment, it is appropriate to ask this question. If you have questions, that's a good thing, but make sure you ask the correct questions at the correct time. Many of the "business" questions should be discussed once the pitch is actually accepted. When is the deadline for pitches? Is there a limit to how many pitches a freelancer can submit? Are there topics that editors wish were getting more coverage? Of course, if the editors have really good guidelines, then don't try to ask a question just for the sake of asking a question. Just make your pitch and move on to the next one. Connect with me on Twitter, Facebook, LinkedIn, and Google+. Check out the 2012 Writer's Market Deluxe Edition , edited by yours truly. It combines more than 200 pages of business, submission, and marketing advice with thousands of publishing opportunities, including magazines, book publishers, literary agents, screenwriting markets, playwriting markets, contests & awards, and more! In addition to the book, the 2012 Writer's Market Deluxe Edition includes a one-year subscription to WritersMarket.com and an exclusive, recorded webinar on how to build a writing platform. It's truly the best value we've offered before. Click here to learn more . As you may know, Tammy and I have been rocking the liver friendly diet recently with great results, especially when we don't backslide (and by "we," I mean "me"). Anywho, one recipe that has really helped feel like we're cheating even as we eat healthy and lose weight is this great chicken soup recipe. It takes a while, but it's actually very easy and doesn't require a great deal of supervision (so you can do one step and step away while it's cooking). Another bonus for this recipe, it's great for leftovers and is pretty cheap. Boil whole chicken. To do this, put chicken in large stock pot . Pour in just enough water to cover entire chicken. Heat water until you can see steam rising, then turn down to simmer (about a 3 or 4 setting on most stoves) and cover. Let boil for about an hour or so. When you cut the chicken, it should be white (not pink and/or bleeding). Cut up onion(s) and add to stock. I prefer medium-sized slices. Cut up celery and add to stock. Remove chicken from bones and skin and add to stock. Personally, I try to break the chicken into bite-sized pieces so that I can eat the soup with a spoon. Cut up potatoes and add to stock. Potatoes get soft faster than anything else, so it's always a good idea to add them last. If you want, you could add noodles to this recipe and/or other veggies. This version works well for me though, and it's a lot healthier than eating most processed soups. As with most soups and stews, this will taste even better on the second day than the first, because all the ingredients will mix that much more. Plus, it's a comfort food that won't add to your waistline. Perfect for rainy and cold days stuck inside. Beef stew. Speaking of comfort foods. Jambalaya. A party in my tummy and surprisingly fast and easy to make. Meatloaf. Also known as the best meatloaf ever! As an editor and as a parent (and heck, as a human being), I'm often forced into the role of delivering bad news. In my role as an editor, I often have to reject submissions or point out problems in submitted manuscripts. As a parent, I have to sometimes explain to my children that we still haven't won the lottery, so I can't buy everything that they happen to see at the store or think they absolutely need this very moment. Plus, I've had my share of bad news as well. I mean, I was once a child who needed things all the time, and I'm a poet who would like (but doesn't have) a 100% acceptance rate, and I have dozens of ex-girlfriends and even an ex-wife. There's a lot of bad news that's been delivered to me over the years. And I admit it: I don't like giving or receiving bad news. Not one bit. But it's something all of us have to face--unless we want to walk around with our ears plugged and our eyes closed, which is actually quite dangerous. I've learned a thing or two about giving bad news over the years, and there's one way to immediately cut down on the amount of bad news you have to share: Don't promise anything that you're not 100% you can fulfill. There's a wide gap between wanting something to happen and knowing it will happen. As a parent, don't tell your kids you'll take them to the playground unless or until you know you're going for sure. That way, they're not disappointed if something else comes up, and they'll be pleasantly surprised once you're on your way over there. As an employee, don't tell your co-workers or boss that you're definitely going to finish a project early--unless you are 100% sure it's going to happen. After all, there's nothing worse than having to continuously extend deadlines on something you promised would be done a week or month (or more) earlier. Get straight to the bad news. Don't beat around the bush or build an elaborate back story. Doing so will only make your audience anxious or impatient. Stop with the bad news. Don't keep going over the bad news or trying to make the news softer. The more you keep talking (or writing) the worse you make the bad news. Make yourself available for questions. Instead of going on and on after delivering the bad news, just say that you're open to answering any questions. Depending on the bad news you're delivering, you may get a million questions or zero. Either way, you've made yourself available. Whether it's a partner breaking up with you, a boss firing you, an editor rejecting you, a salesperson telling you they're out of stock on PS3 s, thank the person for being straight forward enough to deliver the bad news. Believe me, in most cases, they feel as bad or worse than you do. I mean, just think of when you've had to deliver bad news. Remember that you're still alive. Even if your bad news is a doctor telling you that you've got terminal cancer, you can at least be happy that you've still got another day to enjoy life. Don't give in to the dark side. Star Wars fans know exactly what I mean. For everyone else, don't let your anger or hurt turn you into an ugly person (and I'm not talking physically ugly, but emotionally ugly). Bad news happens, but don't use it as an excuse to be mean, spiteful, or lazy. Search for a positive. Death in the family? Use it to feel thankful for the time you had with that person and to appreciate your own life and the lives of those around you. Broken relationship or lost job? It obviously wasn't meant to be. Don't dwell on something that wasn't meant to be; find what is. Listen, I don't like bad news. But it's essential to making us who we are. If you can master this art--or at least learn how to survive it--then you're doing better than most. And by better, I mean that you'll be happier than most, because people who avoid bad news aren't happy; they're just hiding. And don't forget to comment below if you have anything to add or debate in this post. I have some good news and some bad news. Good news: I just finished a great week. Bad news: The previous 3 weeks were not so much. Will, Hannah and I at McDaniel Farm Park. I sort of hit a weight plateau during my 5th week of dieting. Between that plateau and being on vacation, I did a bad thing and started eating the wrong stuff. Then, I would start to move in the right direction again. Then, I would fall off the wagon again. Basically, I gained a little over 2 pounds during my 3-week battle. But that all ended during this past week. During the past week, two things have changed. 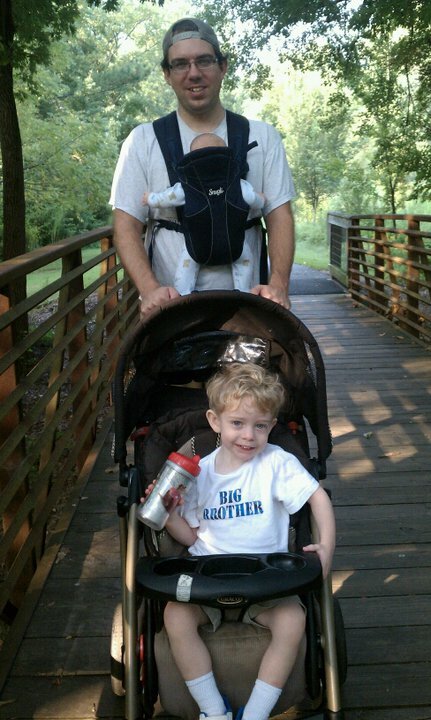 First, I started walking each morning with Tammy, Will and Hannah. Second, I stayed pretty self-disciplined on what I ate. As a result, I was able to trim off 7.4 pounds this week, which has me down to 30.8 lbs lost overall! 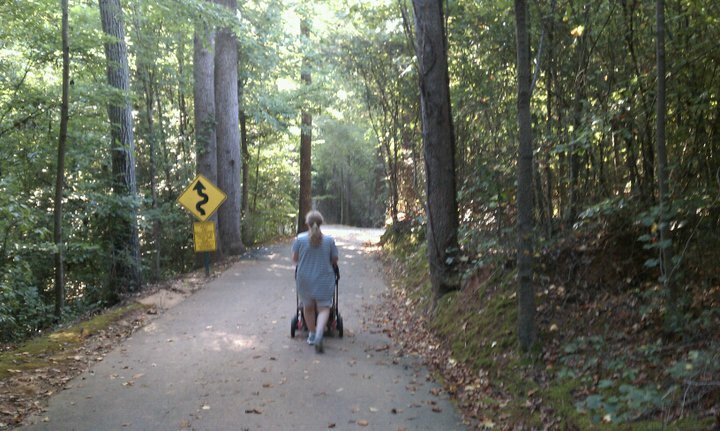 Tammy pushing Will at Bunten Park on early morning walk. I walked around 18 miles this week and plan to continue walking this week. Not only have they helped me lose weight and get refocused on my health, but they've also been a wonderful excuse to spend time outside with my family. If all goes well this week, I should begin training for the Atlanta Half-Marathon on August 29. Fingers crossed! Project: Final Reset: The Beginning, in which I lay out what I'm trying to accomplish. Project: Final Reset: 4-Week Update, in which I updated my progress 4 weeks ago. There are many common problems with pitches (and queries) that writers can fix easily. Last week, I went over pitches that need to adjust their focus. This week, I want go over another very common problem: pitch placement. First, the writers tell me about how they got started writing. Then, they tell me nearly everything they've accomplished since that moment. Then, they tell me how they found this opportunity. Then, they tell me how my publication (Writer's Market and/or Poet's Market ) has changed their life. Then, if I'm lucky, they finally pitch me an article idea. Of course, if I'm not lucky, the letter will end with something along the lines of: "Anyway, I'd love to write an article for you, so please keep me in mind." Needless to say, even if these pitches are good, sometimes I have trouble locating or processing them after reading through paragraphs of "non-pitch" information. Plus, putting the important stuff last (or hiding it in the middle) reflects poor judgment on the writers--so I'm not impressed with their writing skillz. Luckily, this problem is very easy to fix: Just lead with the pitch. You can include all that other information if you need to get it off your chest, though it's not all completely necessary or appropriate, but do so after you've pitched your article idea. As an editor, that's what I care about the most, so it's the most important information in your pitch (or query) letter--even if you have won tons of awards and honors. Do You Have a Writing Routine? The word routine has a bad reputation for many aspiring writers. It's almost as bad as the word outline, which I should address in a future post. Some writers think of writing routines as a way to go produce content by going through the motions. However, that's the wrong way to look at writing routines. The only thing that needs to be routine about a writing routine is that you are consistently bringing your imagination to the table (or desk or laptop) and getting down on paper (or screen). After all, writing is kind of like a sport in many ways. You're trying to stretch and challenge yourself. As with sports, it's easier to reach new heights when you write consistently. In the most recent free WritersMarket.com newsletter, I asked readers to share their thoughts on writing routines. Below are some of my favorite answers. Please contribute your own thoughts in the comments. Lila Johnson: My day gets an early morning kick-off. I hit my local 24-hour, staffed gym at 2 a.m. I rock it out for an hour, pretending that I am Janet Jackson getting in shape for my next concert tour. Once I return home, have breakfast and shower, my mind is racing and ready to work. Ideas for articles, or that paragraph for my short story that has me stumped moves forward, and I feel free and productive for the rest of the day. K. Dawn Byrd: My routine is not the norm. A few years ago, I participated in NaNoWriMo (National Novel Writing Month), and I conquered! The challenge is to write a novel in 30 days. Ever since I met the challenge, it's become my normal writing routine. I'll take out a calendar and map out where I should be in my word count every day. Once I've met the 30-day challenge, I take a couple weeks to a month off and then go back and edit. Works for me! One great thing is that when I write a book so quickly, everything about it is fresh in my mind. Anthony St. Clair: I don't worry about muses or inspiration or any of that. If they're along, nifty--but if they're not, I've still got words to get on the page. To that end, I have a daily task of "Write for 60 minutes or 5 pages or 1,000 words or 2 drafts per day," set in the Remember the Milk online task management service. I get up before my wife, clean up, have breakfast, and do my writing. I consider that my minimum. If that's all the writing I do all day, I'm good with it. The more the better, but once I've put in that time, I'm ready for the rest of the day knowing I've done my writing. Maybe inspiration comes to those who gently ask. Maybe inspiration comes to those who do. I don't know. I just know that by making sure I do that writing, every day I have something to show for it, assignments get done, and day by day my first novel is ever closer to ready. William Bortz: I personally don't think writing has a routine. Good writing comes from the heart. It's the passion you feel. Whether that passion is coming from something that has been with you forever, or that split second when you see something that shakes you, and at that moment the story is already there, all you have to do is release it into this world. Janet Church: Being a farmer I am used to getting up early but I also find this to be the most productive time of day. I am fresh mentally and can usually recall any interesting dreams from the night before. I find that I do some of my best thinking when I am asleep! I do not check my e-mail or turn on the news as it is too easy to be distracted and lose whatever creative inspirations I may have. If nothing new crops up, I will go back and re-read other work, particularly if I haven't reviewed in a while. Errors, awkward phrasing or meandering sentences seem to jump out and can be revised. I do this daily even if for just a few minutes. On Sundays I devote the entire morning as my "job"--until my three German Shepherds remind me of my real job of taking them for a walk. Myself? I don't have a specific time of day that I write, but I do write almost every single day. And even when editing work and family life get super hectic, I still write at least one poem a week for the Poetic Asides Wednesday Poetry Prompts. But yeah, I write every day, whether it's a blog post, newsletter, poem, short story, or whatever. I never get tired of stringing words together. 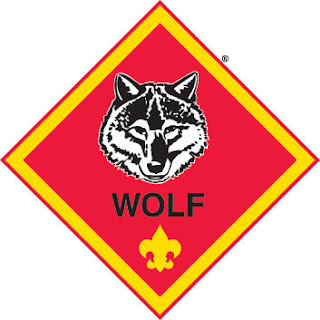 The Wolf Badge: Our main goal this year. Since we're in year two, the boys will be actively working toward their Wolf patches this year after earning their Bobcat and Tiger Cub patches last year. I'm really excited to see how they change over the next year, because they definitely developed last year. I'm bummed that Reese wasn't able to make it out tonight, because one of my two new scouts is actually in Reese's second grade class. But I learned last year that the first few weeks of the year tend to be pretty chaotic, and everyone will be in a pretty good rhythm by the middle of September. In other news, Will had his first ever dentist appointment this morning, and he actually thought it was great. Of course, it probably helped that Tammy took him to Chick-Fil-A afterward and let him run loose on the indoor playground there. Later in the day, Reese had those two teeth pulled and two fillings. He, of course, didn't think it was great, and he couldn't have Chick-Fil-A afterward. But he'll at least have a visit from the tooth fairy tonight. Connect with me on Twitter. Today was much like any other day in many ways. Tammy, Reese, Will, Hannah and I went for a walk (a little more than 2 miles) before hitting the grocery together. Later, I took Reese and Will to the Duluth square for an hour or so to splash around with a bunch of Cub Scouts and their siblings. Plus, there was the usual fights and temper tantrums. These were pretty typical events for a Saturday. However, I appreciated all of it (even the fights and temper tantrums) more today than usual. Brenna Jo and Charles Thomas. And the reason why is really heartbreaking. Before I did anything else this morning, I logged into Facebook and found a message from one of my cousins that another cousin had passed away last night. She was pregnant, and they were unable to save her baby either. Her husband found her in the bathtub. 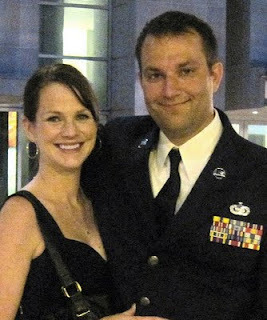 I have to admit I didn't know Brenna Jo Thomas as well as some of my other cousins, but I knew her well enough from family reunions and through limited contact on Facebook that she was a very devoted wife and a happy spirit. She was beautiful, active, and leaves behind two young children and a husband, who has to be devastated and in shock right now. News like this, especially to someone so young and kind, is bound to shake any person. But in my search for more details as to what happened, I saw that my cousin Sarah (who broke the news) was already turning her attention in the correct direction: "This day has definitely reminded me how precious life is. ... Tell those you care about how much they mean to you! I love you all!" There's no way to make complete sense of children losing their mother, a husband losing his wife, and parents losing their child. It's a tragedy. But at the same time, we can only move in one of three directions: forward, backward, or not at all. I encourage everyone to use each day to move forward--even if just a little bit. Take my cousin's advice and let people know every day how much you appreciate them. Be happy that they're alive. Be thankful that you're alive. Do what you can to enjoy your life and make the world a better place. 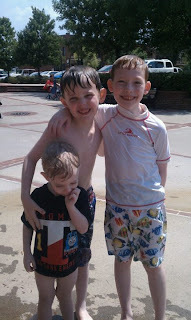 Will, Reese and Tim (one of my Cub Scouts) earlier today. Today was much like any other day for me, and I am so thankful I was able to experience it. While I did not write this poem for my cousin Brenna, I couldn't help thinking of it while I was going throughout my day today. Please send prayers, good thoughts, and whatever else you can to Brenna's family and her parents, who are all having to deal with this tragic situation. covers us in nothing more than what it is. Learn How to Get Published, Book Give-away, and More! Plus, one lucky participant will receive a free copy of the brand new 2012 Writer's Market Deluxe Edition --signed by me! So send in your questions and get registered now, and I'll see you on Wednesday. For more details and a previous recording, click here. And check out the Den event calendar for news of what's coming up in the following weeks by clicking here. Problem Pitches: Adjusting the Focus. Sometimes the idea isn't the problem as much as the focus. 11 Google+ Tips for Writers. Google+ is new, but I think it's definitely got staying power. Here are some tips for getting started. Negotiating Tips for Writers. I share some negotiating tips from my side of the desk (as an editor) to help you on your side of the desk (as a writer). I don't know if this is a feature that will stick or not, but I'm going to try thinking up different writer-related scenarios and see what everyone thinks they'd do in the situation. Of course, whether this feature will "stick or not" depends on whether people comment below. If it sounds like fun to you, please don't be shy. Share your thoughts! Pesky ideas--waiting until after hours to strike! You know the drill. Perhaps you've had a stressful day and the writing well has been dry for more than a week. You're not even worried about it though, because you've brushed your teeth, taken out your contacts, and slipped into your jammies. In fact, you've already turned out the lights and are snuggled in tight to your pillow. And then, bam! The perfect idea for a story or article slams you upside the head. Or the perfect line for a poem trips up the sheep you've been counting so diligently. Now, what would you do? Do you jump out of bed and proclaim, "Eureka!"? Do you try to scribble something in the dark? Do you think to yourself, I can remember this until tomorrow morning? Or do you just try to ignore the greatest idea you may ever have? Please comment below to let me know what you would do. The only way this will be fun is if people participate, so I'll leave a comment (or two) below as well. 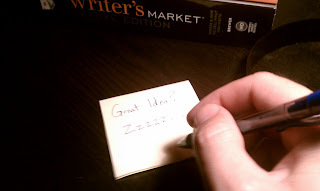 This week, I've been reviewing pitches for the 2013 Writer's Market and Poet's Market. I've made it through my first round of cuts, but I haven't made any final decisions yet. That'll come by the end of the month (for those who are patiently waiting). 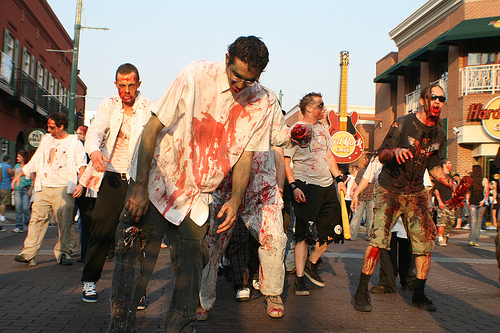 However, I have been able to use the first round of cuts to make a list of common pitch problems that will hopefully help writers with pitching and querying other markets. First off, let me say that even very good pitches get rejected each year. I have a defined budget and page count: Once I hit the limit on either or both, I have to start sending out rejections and hope the good pitches make their way to me again next year. That's just the business of publishing, and it's important for writers to understand that editors and agents are looking for pitches to accept--not reject. That said, I want to look at the problem of unfocused pitches. A certain percentage of the pitches I've read recently can be boiled down to this message: I propose to write an article on how to make writers more successful. Of course, I'm interested in publishing articles that make writers more successful, but the pitch includes no specifics on how the writer intends to make other writers more successful. A better approach would be to pick a common problem writers have--such as pitching editors and agents, handling tax forms, creating a professional website without spending a ton of money, etc. When you can't give specifics, you're most likely using too broad of a brushstroke. This same principle applies to other markets as well. If you want to write for a parenting magazine, don't make a general pitch that claims it will make better parents. Instead, pitch an article that will help parents handle five common temper tantrums or that gives strategies for getting children to stay in bed at night. I usually find this problem more in Writer's Market than Poet's Market , because Writer's Market appeals to a large swath of writers, while Poet's Market is already a niche of the writing community. So, how can a pitch be too narrow? Here's an example (completely made up): I'd like to write an article on dealing with editors of trade magazines for the farming segment. The problem here is that it only appeals to a slice (nonfiction article writers) of a slice (for trade magazines) of a slice (that focus on farming). At most, this article would probably appeal to fewer than a dozen readers of Writer's Market--even if it's a brilliant article. A better approach would be to broaden the focus by dealing with editors of various magazines and identifying their different needs and expectations. A well-executed pitch would offer to break the article down into important groups: national consumer magazines, regional consumer magazines, trade magazines, and online markets. This pitch is still very specific, but it will appeal to a broader audience. Sometimes, narrow is fine if you're trying to get a small piece published in a publication that has a section for very specialized information. For instance, Writer's Digest magazine has an Inkwell section that collects such pieces in the front of each issue. In these spaces, narrow and quirky can be a good thing. You can also include your narrow idea as a possible sidebar to go along with your broader article idea. It's all about how you package your ideas. I know it can feel like a balancing act at times, but practice really does make perfect. The more you pitch the easier it will get to find that right balance. 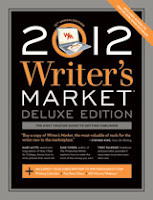 2012 Writer's Market Deluxe Edition , edited by Robert Lee Brewer. This book is loaded with publishing opportunities and articles on the business of writing, including a pay rate chart, information on contracts, data protection, social media tips, pitches that never fail, and more! How to Write a Book Proposal , by Michael Larsen. This is my favorite resource on how to write a book proposal. Larsen does an incredible job of breaking down the proposal into manageable chunks that create a coherent whole. Formatting & Submitting Your Manuscript , by Chuck Sambuchino. This is the top guide on formatting and submitting your writing. This book doesn't just tell you how to format your manuscript, it shows you how with several examples. Recently, I shared a post on how writers spend their vacations. A lot of writers mention they use their vacations for inspiration. This, of course, got me wondering how writers find inspiration at home. Sooooo... I asked readers of the free weekly WritersMarket.com newsletter to share their tips with me. Enoch Li: I get my inspiration from home by creating the setting that makes me feel relaxed and comfortable--soft cushions and a big bean bag with a cup of fresh mint tea. I close my eyes as I breathe in the rejuvenating fragrance, and when I open my eyes, I look around my home and out the window and think to myself: "What a beautiful home!" Then, I open my Word document and type away for the next few hours, looking up and around me every now and then, sinking further into my bean bag. I can type for days like this with the inspiration just flowing with the sense of clam and beauty around me. Steve Sears: I stay inspired by being "surrounded by my home library." I have a 210-book library that starts on my right hand side and continues behind the back of my desk. Whenever I need a break, no matter how long, I'll pick up a book and read a passage, or take extended reading away from the desk. Rich Moser: For me, the key to inspiration is to expose myself to many sources of input, including nature. So I try to vary my days, not have a routine, keep up real social contacts (not Facebook!!! ), and read from many sources. I figure there will be nothing to inspire me if I don't have contact with anything except my own mind and the life that springs from it. Bonnie E Martin: I realize this is going to sound a bit risque, however, it has been the best inspiration for me throughout my 30 years of writing. I don't go "seeking the answer or inspiration" when I am working on my many projects. All I know is when the following happens, my mind is filled with fresh ideas, directions and even dialogue. The way I stay inspired at home comes from every time my husband and I make love! It sounds hokey, especially when you discover I have written more children's stories than I ever have written adult-themed articles or stories. Still, after that intense closeness with my soulmate, a torrent of ideas flood my mind, and I can't wait to get back to my writing. Maryanne Petkac: I have recently discovered trail running and have fallen in love with it. I cannot begin to tell you the thoughts and ideas that pop into my head while running; in fact, last October I sent a piece titled "Trail Running" to sixsentences.ning.com, and they published it on their website! I am currently collecting materials in preparation to write my graduate thesis (I spent some time in Belfast in June doing research and wish I had seen your e-mail regarding inspiration away from home) and while running, have fine-tuned my thesis statement and put together a tentative outline. Trail running inspires me, challenges me, clears and opens my mind, all while allowing me to enjoy nature. K. Dawn Byrd: Within the last few weeks, I've suffered from a major case of writer's block, and it couldn't have occured at a worse time, because I'm on a deadline. I found my plot had holes in it the size of the Grand Canyon. Taking an hour-long walk with my husband and my two Chinese Cresteds every night really helped. I talk about my plot with hubby (who is not a writer), and he brainstorms with me. It helps to get a man's perspective and sometimes he comes up with something that totally rocks my plot! Sylvia Safran Resnick: I have been living in a retirement hotel for two years now. Many of my neighbors are Holocaust survivors and therein is my inspiration as I get to know their stories of courage and survival. My imagination flourishes and my heart responds in a way that makes it necessary to commit my feelings to paper. An observation here, a rush of emotion there, all conspire to make their way into the lives of my fiction characters as I move them from my imagination to paper. Good stuff. Stories from your neighbors, running on trails, going on walks, surrounding yourself with the proper atmosphere (and books! ), and yes, even making love--these are all great ways to get inspired at home. I've tried most--if not all--of these methods of home inspiration. One of my most effective ways to get inspired is actually not home-based: it's when I'm behind the wheel. Since I used to spend a lot of time commuting each day, I perfected a technique of writing while I was driving (without looking at the paper). Now, I don't commute, but I do zip up and down I-75 once or twice each month to visit my Ohio boys. That's not the only time I feel inspired, but it's rare for me not to write a few new poems and ideas during those long drives. Idea hits as you are about to fall asleep. Click here to read and share. Father. Poet. Editor. Curator. Occasional slap happy smack talker. Contact at robertleebrewer@gmail.com. How Do Writers Spend Their Vacations?